Polish-Jazz blog provides media patronage for new album by Mikolaj Trzaska !!! I consider myself blessed by the fact that during the past thirty years the legendary Israeli clarinetists/composer Harold Rubin chose me as the producer of his recordings and released them on my Jazzis record label. He is, after all, one of the most original and extraordinary Jazz/Improvised Music icons, not only in Israel but on a world scale. Rubin is one of those rare individuals, who never keep still in one place beyond a brief moment. He managed to continuously develop his music, leaving behind the limitations of the Jazz tradition, in complete disregard of styles, conventions and genres, creating his very own way of expressing his ideas. Following this path was for me and for people who listen to his music a truly spiritual experience. I have often invited other musicians to play with Harold and in retrospect those meetings turned out to be incredibly productive aesthetically, with this case being no exception. Polish multi-reedist/composer Mikołaj Trzaska is a kindred spirit to Rubin in every respect. A rebel and a man who loves his artistic freedom beyond anything else, who is in a constant state of search for new musical experiences, Trzaska and his music are ideal partners to the Rubin phenomenon. The fact that they did not meet earlier is in fact astounding, and when I realized the symbiosis of their spirits, while listening in Poland to a concert by Trzaska, I decided to bring them together, as if ordered by higher powers. Luckily the meeting turned into reality much sooner than anybody expected and the result is documented herein. Rubin invited to the studio a young Israeli bassist Nadav Masel, who turned out to be a superb partner to the two giants, as if he played with them since the beginning of times. Perhaps another divine intervention, but the resulting trio of musicians creating music together is simply phenomenal. Enjoy! Singer Jazz Festival 2014 !!! The 11th edition of the Jewish Culture Festival - Singer's Warsaw 2014 will include, for the first time, a series of Jazz events presented under the "Singer Jazz" moniker, which are dedicated to the contribution by Jewish musicians and composers as well as Jewish Music motifs to the Jazz Art Form. Singer Jazz will last for four days between Monday August 25, 2014 and Friday August 29, 2014 and will present eleven events (see Program of Events). Since the very early days of Jazz, which is now over 100 years old, Jewish musicians fulfilled a most prominent role in the development of the music as an Art Form. The intrinsic hardships of the Jewish People were in many respects often similar to those of the Afro-Americans, who created Jazz, and therefore it is hardly surprising that Jewish musicians were the largest ethnic / cultural group other than Afro-Americans to play Jazz and dedicate their lives to it. Singer's Warsaw pays a tribute to these Artists, by presenting a wide variety of Jazz styles and forms, originating from many different countries, where Jewish Jazz is thriving and breaking new ground. Many great Polish Jazz musicians will also participate, playing concerts and informal jam sessions in clubs and smaller venues, presenting the theme of Jewish Jazz, which is experiencing a formidable Renaissance in Poland at the moment. The Singer Jazz is directed by Adam Baruch, a world famous music critic, organizer, activist and personality, who is active on the music scene since several decades. Meeting with music critic and artistic director of Singer Jazz, Adam Baruch, where he talks about the story of his life-long affair with music in general and Jazz in particular. The meeting is hosted by Jazz Forum editor Paweł Brodowski. Top Israeli and Polish avant-garde Jazz players, clarinetist Harold Rubin and multi-instrumentalist / composer Mikołaj Trzaska combine forces and present a new album they recorded together. 3. Harold Rubin – "Magnificent Failure"
Screening of a documentary film about legendary Israeli musician Harold Rubin, directed by his daughter Jasmine Kainy, following by a meeting with the artist. Top Polish Jazz duo of twin brothers Marcin Oleś and Bartłomiej "Brat" Oleś presents their new project called "Spirit of Nadir", original music based on Sephardic and other Jewish music themes and then improvises with legendary Israeli clarinetist Harold Rubin. Israeli saxophonist / composer Daniel Zamir, who is an orthodox religious Jew, plays modern Jazz firmly based in the Jewish traditional music. He is accompanied by a quartet of top Israeli Jazz players. Brilliant Polish Jazz trio comprising of brothers: Jan Smoczyński – Hammond organ and Mateusz Smoczyński – violin and drummer Michał Miśkiewicz meet Israeli saxophonist Daniel Zamir and later on jam with additional Polish Jazz musicians. Author and director Andrzej Krakowski tells the fascinating story of three American stage stars, which surprisingly all share a Polish / Jewish origin. Distinguished Polish pianist / composer / educator Kuba Stankiewicz and his trio perform compositions by American (of Polish Jewish roots) composer Victor Young. 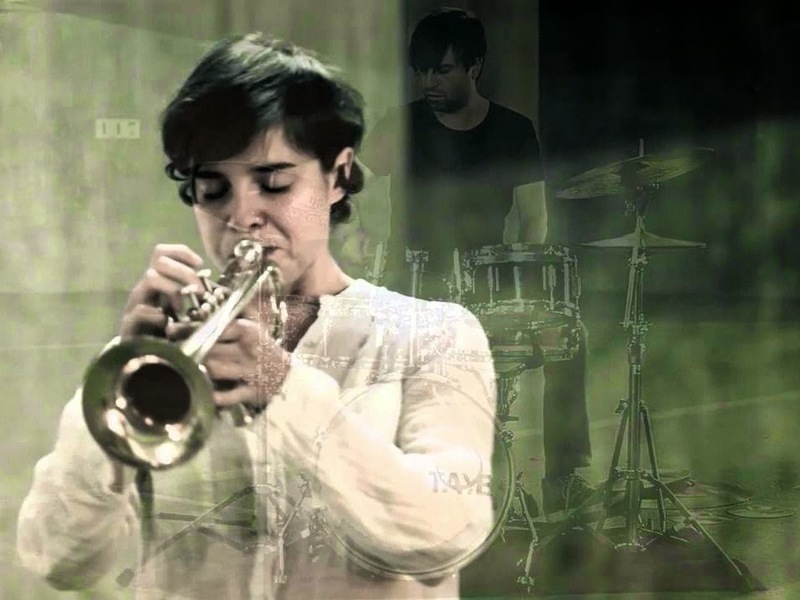 Polish vocalist Lena Piękniewska, accompanied by top Polish Jazz players presents a multi-media show dedicated to the Polish Jewry annihilated during the Holocaust. Young Polish trumpeter Wojciech Jachna and his trio present their project of Jazz improvisations based on old Hassidic music and then improvise with legendary Israeli clarinetist Harold Rubin. 11. "The rebirth of the Jewish musical tradition in New Polish Jazz" – a discussion panel of leading Polish Jazz journalist and activists. The meeting, chaired by Adam Baruch, will summarize the Singer Jazz 2014 events and the rebirth of the Jewish musical tradition, which is one of the central motifs of the New Polish Jazz scene in the last decade. Jazz may be filled with reharmonizations, reinventions and reimaginings of songs from across its entire history; few artists have, however, made their names solely as composers and arrangers. Relative youngsters like Maria Schneider, Vince Mendoza and Darcy James Argue's Secret Society have successfully shaped careers focused exclusively on the other side of the performance table, but when it comes to legacy artists, the name Gil Evans is the one that crops up more often than not—no surprise, given his classic work with trumpeter Miles Davis on albums like "Sketches of Spain" (Columbia, 1960). But there are others who've been shaping music for large ensembles in ways that are no less definitive and just as personal. Michael Gibbs is one such figure. 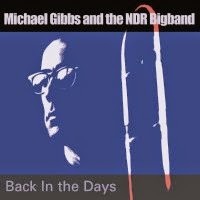 With far too many of his relatively few recordings as a leader out of print, "Back In The Days" serves as a welcome reminder that the nearly 75 year-old Gibbs is still with us, and still making terrific music. Collecting a dozen tracks from five sessions over the course of eight years (1995-2003), it's also a chance to recall why artists like vibraphonist Gary Burton, saxophonist Stan Getz and singer Norma Winstone have chosen to work with the composer/arranger over the half-century span of his career. Born in Zimbabwe (then Rhodesia), Gibbs' work in both the US and UK never achieved the same name recognition that Evans enjoyed on a broader scale, though if there is single period where he seemed to be on a career high, it was from 1970-75, when he released a series of albums, beginning with "Michael Gibbs" (1970) and the heralded "Tanglewood 63" (1971) (both on Deram), through to 1975's jazz-rock masterpiece, "The Only Chrome Waterfall Orchestra" (Bronze) and "Seven Songs for Quartet and Chamber Orchestra" (ECM) - the latter, his second full collaboration with Burton after 1974's even more eclectic "In the Public Interest" (Polydor). With one look at the list of musicians recruited on these albums and later titles including "Big Idea" (Venture, 1988) and "Nonsequence" (Provocateur, 2001), it's clear that Gibbs has garnered respect rare amongst such an international bevy of players - in addition to Burton, also including bassist Steve Swallow, guitarists John Scofield, Bill Frisell and Philip Catherine, saxophonist Charlie Mariano and Bob Mintzer, and trumpeters Kenny Wheeler and Ian Carr. Few of "Back in the Days" Norddeutscher Rundfunk (NDR) Bigband members are big names, though fans of pianist John Taylor will recognize drummer Martin France on the 2003 date, while those who've followed guitaristJohn McLaughlin's 4th Dimension band will know drummer Mark Mondesir from a session in early 2002. Still, with Burton in tow for three tracks from 1995 - including "Country Roads," an ambling blues co-written with Swallow that first appeared on the vibraphonist's "Country Roads & Other Places" (RCA, 1969) - there's at least some star power to attract those who need it, though every soloist from the five shifting lineups of Germany's NDR Bigband represented here is world class and worthy of attention. Gibbs' "Mosher" is a soft ballad that, in addition to an atmospheric solo from Burton, features Christof Lauer, the primary soloist on another ethereal Gibbs piece from a later date, the miniature tone poem "Antique", the tenor saxophonist blowing with surprising power and abandon to contrast with the compositions' more rarefied nature. Burton's performances on "Country Roads" and, in particular, Gibbs' bright opener, "The Time Has Come," raise plenty of questions about who exactly defined the vibraphonist's late 1960s to mid-'70s recordings. The ultimate answer is, of course, a complicated one, clearly the confluence of a number of factors, ranging from Burton's own emergent voice; his empathetic relationship with Steve Swallow; his choice of guitarists Larry Coryell, then Mick Goodrick, and, later, the Goodrick-informed Pat Metheny (before his own voice emerged, as it did rapidly) once he made the move from RCA to ECM; and Gibbs' role as both an arranger and composer, with Burton drawing from the his gradually expanding songbook as early as "Duster" (RCA, 1967) and, with greater visibility, on later ECM dates like "Ring" (1974) and "Picture This" (1982). Here, in this 1995 session with guitarist Stephan Diez soloing at length after the ever-impeccable Burton, it's crystal clear that the vibraphonist's early days were shaped by all these factors, with Goodrick a clear touchstone for Diez, but the harmonic landscape over which Diez solos irrefutably defined by Gibbs' unmistakable voice. Elsewhere, three recordings from 2002 demonstrate Gibbs' acumen at arranging well-known standards, in particular a version of "'Round Midnight" that, rather than using mid-1950s Miles Davis as its source, looks a decade later to the trumpeter's mid-'60s group, lending it a more modernistic edge while retaining the gentle groove that, as Gibbs explains in the liners, "lies so comfortably in the lap of the band." With "Back In The Days", Cuneiform continues its important rescue of vital music from UK (or, in the case of Gibbs, UK-based) artists ranging from recently deceased composer/arranger Graham Collier to saxophonist John Surman and bassist Henry Miller. With the most recent session on "Back In The Days" dating nearly a decade ago, the album dovetails perfectly with Gibbs' more recent collaboration with Norma Winstone on "Here's a Song For You" (Fuzzy Moon, 2011). Individually and together, both recordings serve as a welcome reminder of Gibbs' important place in the history of jazz composers and arrangers - but one who remains absolutely active and deserving of praise and visibility now, while he is, very thankfully, still with us. I am really happy about this album! 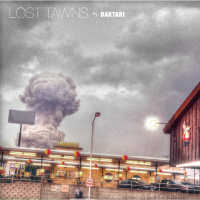 After my review of "I travel within my dreams with a German passport" (see http://polish-jazz.blogspot.de/2013/08/daktari-i-travel-within-my-dreams-with.html) I was very curious to see how this promising band would go on. And it's really going well! They're not simply making another album, but instead go a step further and continue their development. First thing to mention, of course, is that there is only room for one guitar in this formation. However, the absence of the second electric guitar does not limit the creative energy of the now five musicians. At a first listen this development is obvious through the significantly more relaxed way of playing. No strenuous solos or difficult passages that are supposed to show how good the musicians are. Instead, all five play in an unagitated manner along their tracks (still showing their great skills though). Right from the start the solo entry by Olgierd Dokalski lets you question if this is indeed a young newcomer band. To start off with such a hard-boiled and cool, yet free and soulful trumpet solo, makes one wonder! And this is actually inherent in all solos: no uncontrolled ecstasy, instead everybody always knows what he wants to tell and where the whole is going. And this is indeed necessary, becaus compositionally too the new album of Daktari is much more mature than its predecessor! Was it in the latter sometimes necessary to compensate for lack of compositional creativity or maybe experience through a wilder play, the five pieces on this album here speak for themselves. This too is one reason why the individual musicians can play so much more relaxed. Additionally on this album the rhythm section (to which I would explicitly count Miron Grzegorkiewicz) has a much stronger influence on the whole. This can be heard in many very groovy passages – something the last album only rarely had to offer – and maybe the way Daktari could go in the future. So all in all this is by far their best album yet and a true recommendation. And although I doubt that it's possible to continue developing at this pace, I'm still very curious to see how their next album will be! Susana Santos Silva na trąbce, czyli czołowa postać portugalskiej sceny improwizowanego jazzu, wystąpi po raz pierwszy w Polsce ze znanym z clean-feedowskich "Basement Sessions", szwedzkim kontrabasistą Torbjörnem Zetterbergiem. Przed nimi równie wyjątkowy duet: trębacz Wojciech Jachna oraz kontrabasista Ksawery Wójciński. Też po raz pierwszy, ale na scenie! Susana Santos Silva – portugalska trębaczka, improwizatorka i kompozytorka, czołowa postać sceny muzycznej w Porto. Posiadaczka licznych dyplomów (Codarts Rotterdam, College Of Music And Performing Arts). Jest współzałożycielką muzycznego stowarzyszenia Porta-Jazz i związanej z nim wytwórni płytowej – Carimbo. W 2010 roku debiutuje w roli lidera własnego kwintetu i wydaje ciepło przyjęty album – „Devil’s Dress”. Od dłuższego czasu związana jest z triem LAMA, którego skład uzupełnia kontrabasista Gonçalo Almeida oraz kanadyjski perkusista Greg Smith. Dotychczasowe płyty tego zespołu zostały wydane przez ceniony label Clean Feed. Współpracuje także z Torbjörnem Zetterbergiem, czego efektem jest płyta „Almost Tomorrow”, również wydana w barwach lizbońskiej wytwórni. W duecie z perkusistą Jorgem Queijo nagrywa z kolei „Songs From My Backyard”. Współpracuje także ze słoweńską pianistką Kają Draksler, belgijskim trio De Beren Gieren, Orquestra Jazz de Matosinhos (mają na koncie wspólne nagranie z Lee Konitzem), European Movement Jazz Orchestra. Do tej pory koncertowała w Portugalii, Hiszpanii, Francji, Holandii, Belgii, Niemczech, Austrii, Chorwacji czy Stanach Zjednoczonych. Torbjörn Zetterberg – kontrabasista, ur. w 1976 roku w Sztokholmie. W 2002 roku, zaledwie rok po ukończeniu Royal College of Music, wydaje swój debiutancki album w barwach szwedzkiej wytwórni Moserobie Music Production. Ma na koncie osiem płyt, z czego dwie ("Förtjänar Mer Uppmärksamhet" oraz "Krissvit") otrzymały nominacje do nagrody Grammy. Oprócz własnych projektów, Torbjörn Zetterberg współpracuje z innymi artystami, nagrywając muzykę m.in. dla Clean Feed i Ayler Records. Lista artystów, z którymi do tej pory grywał jest długa. Wśród nich znajdują się m.in. Jonas Kullhammar, Carlos Garnett, Sonny Fortune, Sonny Simmons, Ivo Perelman, Benny Golson czy Benny Bailey. Wojciech Jachna – trębacz, ur. w 1976 roku w Bydgoszczy. Absolwent Uniwersytetu Kazimierza Wielkiego na wydziale Historii. Swoją przygodę muzyczną zaczynał jako gitarzysta w grupach punkowych i alternatywnych - PoGoleniu, La Verte, Hyde. W obliczu artystycznej klęski rockowych odmian muzyki rozpoczął przygodę z jazzem. Pobierał naukę gry na instrumencie u trębaczy o różnych podejściach muzycznych - m.in. u Janusza Zdunka, Piotra Wojtasika, Marcina Gawdzisa czy Miłosza Gawryłkiewicza. W latach 2002-2006 nagrywał i koncertował z bydgoskim zespołem reggae Dubska, z którym nagrał cztery płyty: "Nie Zmul Dna", "Live in Mózg", "Dubska" i "Avocado". W latach 2004-2006 związał się z trójmiejską grupą Mordy, z którą wydaje album "Antrology". Od 2004 roku członek bydgoskiego Sing Sing Penelope. Współautor płyt "Sing Sing Penelope", "Music for Umbrellas", "We remember krzesełko", zarejestrowanej w łódzkim klubie Jazzga z nestorem bydgoskiego free jazzu - Andrzejem Przybielskim "Stirli People in Jazzga" oraz „This is the Music – vol.1”. Od 2005 roku członek Contemporary Noise Quintet/Sextet, z którym to zespołem wydaje płyty: "Pig Inside the Gentleman", "Unaffected Thought Flow" oraz „ Ghostwriter's Joke”. W 2009 roku założył duet Jachna/Buhl, mogącym się pochwalić następującymi wydawnictwami: „Pan Jabu”, „Niedokończone książki” oraz „Tapes”. Od 2011 roku członek kolektywu Innercity Ensemble (płyty:”Katahdin” oraz „II”). Współtworzy trio wraz z Grzegorzem Tarwidem i Albertem Karchem. Niebawem światło dzienne ujrzy ich album „SUNDIAL”. Obecnie student IV roku na wydziale Jazzu i Muzyki rozrywkowej na Akademii Muzycznej im. F. Nowowiejskiego w Bydgoszczy. Ksawery Wójciński – kontrabasista i kompozytor, ur. w 1983 r. Wszechstronny muzyk o wielkiej wrażliwości na brzmienie. Nie boi się eksperymentów. Jego zainteresowania sięgają od muzyki dawnej aż po najbardziej wyrafinowaną improwizowaną muzykę współczesną. Współpracował z takimi muzykami jak: Charles Gayle, Uri Caine, Hamid Drake, Mikołaj Trzaska, Michael Zerang, Nicole Mitchell, Tim Sparks, Klaus Kugel, Norris Garner, Robert Rasz, Wacław Zimpel, Paweł Postaremczak, Raphael Rogiński, Robert Kusiołek, Krzysztof Dys, Szymon i Maurycy Wójcińscy. Współtworzy takie formacje jak legendarne, Hera, Affinity, Charles Gayle Trio. Koncertuje w kraju i za granicą. Jest znany również ze swych wokalnych eksperymentów, które przywodzą na myśl ducha takich artystów jak Tom Waits czy Frank Zappa. Festiwal Sanatorium Dźwięku to najlepsze i najciekawsze propozycje muzyki współczesnej oraz działań interdyscyplinarnych w jednym miejscu. Przez 3 dni festiwalu publiczność weźmie udział w ponad 16 wydarzeniach, które zaprezentowane zostaną na scenie outdoorowej Skarpa oraz w Kinoteatrze „Zdrowie”. Celem podejmowanych przez artystów działań jest przełamywanie schematów percepcji i odbioru ukształtowanych przez tradycję form oraz zależności determinujących kontekst kulturowy sztuki. 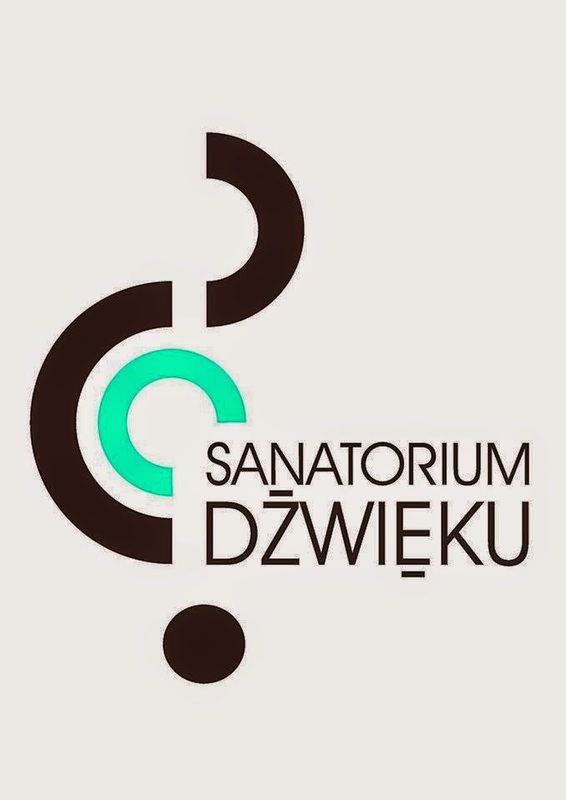 07.08.2014 odbędzie się preludium festiwalu Sanatorium Dźwięku, czyli koncert Piotra Zabrodzkiego pt. "Impresje Sokołowskie" godz. 20:00 Zespół Szkół Muzycznych im. Stanisława Moniuszki w Wałbrzychu. Wstęp wolny. Zapraszamy !! !